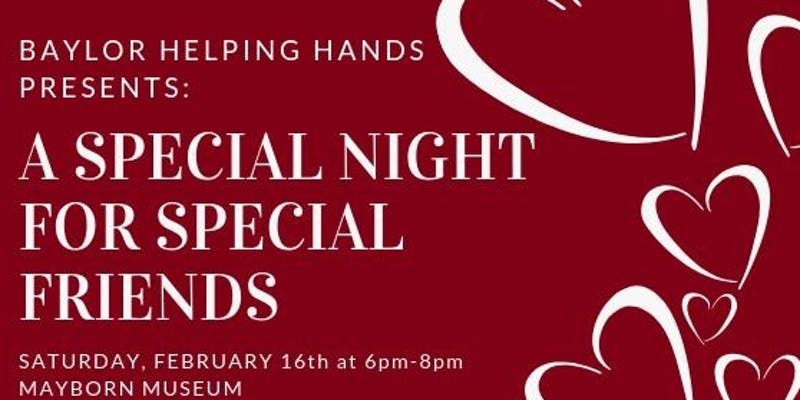 Baylor Helping Hands presents A Special Night for Special Friends – A Valentine’s Day Dance for anyone and everyone. Come one, come all, come everybody! There is no cost associated with this event, so just register and spread the word!